Crystals down to 100 µm thickness can be manufactured as free standing crystals (not attached to any kind of support). However, ring mounts are highly recommended for safe handling of these thin crystals. The minimum aperture of free standing BBO is 5x5 mm, maximum - 22x22 mm. The tolerance is ±50 µm for crystals of thickness down to 300 µm and ±20 µm for crystals of thickness down to 100 µm. 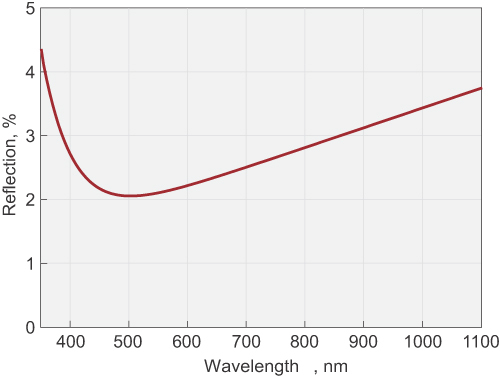 BBO crystals less than 100 µm thickness can be supplied optically contacted on UV Fused Silica substrate sizes 10x10x1 mm or 12x12x2 mm. Other sizes of substrates are also available on request. 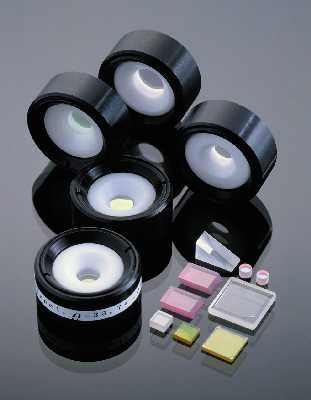 The minimum aperture of optically contacted BBO is 5x5 mm, maximum - 10x10 mm. The tolerance of crystal thickness is +10/-5 microns.